Manchester City and Pep Guardiola have had an amazing 2018-19 campaign so far. They started the season with a 2-0 victory over Chelsea, winning the 2018 FA Community Shield at Wembley. The Citizens have been excellent across all competitions since then. They have won the EFL Cup back in February and have booked their place in the FA Cup Final with a 1-0 win against Brighton over the last weekend. Pep Guardiola and his players are hoping to achieve the Quadruple and become the first English side to win all four competitions in the same season, surpassing Manchester United’s Treble from 1999. But in order to achieve that, they need to win both, the Premier League and the Champions League, which is not going to be an easy task for the Citizens. They have a run of four tough games in the next 10 days, which we believe are going to be decisive for them, especially in the race for the Premier League title with Liverpool. City enter into the most important period of the season with the away clash against Crystal Palace at Selhurst Park. They sit in second on the league table, two points behind leaders Liverpool. However, Pep Guardiola’s side has played one game fewer than the Reds to this point of the season, and still hold their fate in their hands. One thing is for sure – if they win all of the remaining six league games of the campaign, they are going to retain the Premier League title. But let’s not forget that Crystal Palace surprised the Citizens in the reverse fixture this season, winning 3-2 at the Etihad back in December. They are still the only side to win points away at City in the 2018-19 campaign. 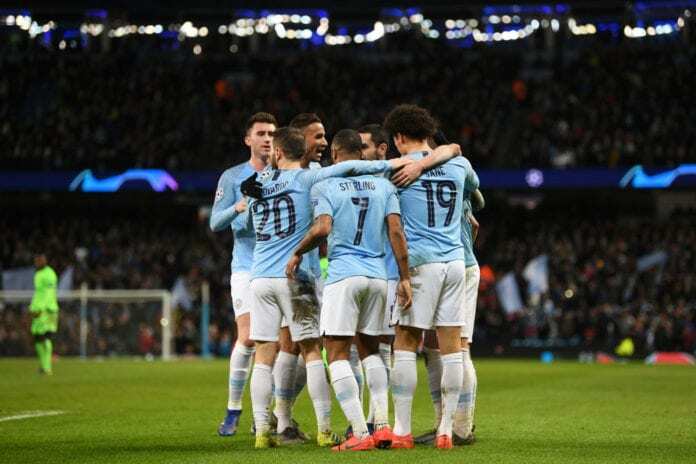 Manchester City have another season-defining game only three days from today, as they welcome Tottenham in the second leg of their Champions League quarter-final encounter. They lost 1-0 at the newly opened Tottenham Hotspur Stadium last Tuesday and will need to win by a margin of minimum two goals to progress into the semi-finals of the competition and keep their hopes of achieving the Quadruple alive. The Citizens have another clash with the Spurs at the Etihad next Saturday, in the 35th Matchday of the Premier League. City have been excellent at home, as we already mentioned before – they’ve won 16 of their 17 league games, losing only to Crystal Palace. 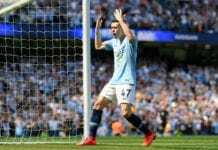 They will need to maintain their almost perfect record in the remaining two home fixtures if they want to defend the Premier League title successfully. Pep Guardiola and his players end their run of tough four games with an away trip to their neighbors Manchester United. They visit Old Trafford on April 24 in a game which can decide the Premier League winner for 2019. The title race will probably go down to the final day of the season, but in our opinion, if Manchester City gets three wins in their next three Premier League games they are almost certainly going to retain their crown at the end of the campaign.